Are you the type of person who needs a soundtrack to do anything? Whether you’re at work, exercising, doing dishes or waking up in the morning, do you find that blasting some good music motivates you and generally enhances your life? Well, there’s a scientific reason for that. Your body is extremely receptive to changes in rhythms—and no, we’re not talking about circadian rhythms. The beat of the music you play actually directly affects your heart rate and mental outlook! That’s why listening to hard rock or rap will get you amped up and help you push harder during a workout (yep, even if you hate that music). Slower music also has a powerful impact on heart rate. In fact, setting the bpms of your music at a rate below your average resting heart rate could help you relax more deeply, especially during yoga or meditation. 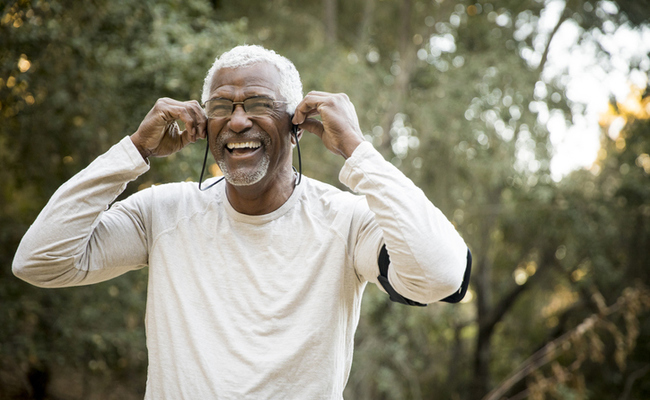 Listening to music has the unique ability to alleviate stress, improve athletic performance, improve movement in those with cognitive impairment and even increase milk production in cattle. More scientifically, it has a direct effect on heart rate, blood pressure and breathing rate, causing them to rise and fall with the tempo of the music. If you’re a trained musician, the effects of music tempo on your heart rate and breathing are likely to be even more amplified, according to research. Our bodies can’t help but fall in line with the beat. And personal preference seems to have nothing to do with it. Music can also influence our perception. It can make difficult or boring tasks seem less challenging. It does this by activating the centers of the brain that deal with pleasure while decreasing communication in areas of the brain that focus on fatigue. So if you’re really struggling with a project, chore or workout, a well-curated playlist may be the motivational hack you’ve been searching for. Of course, music does have its limits. It won’t push your heart beyond its 85 percent aerobic capacity, and it won’t decrease your heart rate to a dangerous low. But it is a powerful motivator around 80 percent of the time. Music makes you feel better, no matter what you’re doing. Next time you feel like you’re lacking a little motivation, turn on some of your favorite tunes. You’ll be amazed at what an effect it can have. Sometimes music helps me concentrate, sometimes it makes me daydream. Playing musical instruments does help concentration, so I'm too busy making sure I hit the right notes to notice my heart rate. Thanks. Love music but I've often changed my heart rate with focused deep breathing. Am listening to music right now on a Google contraption given to me for Christmas. I just say "Hey Google music". Not working for me. My favorite tunes donÂ´t increase my motivation. I have to listen, dance and reminisce if I turn them on.